However, in the case of weed management, this approach is not working: the emphasis is on killing plants that are identified on invasive alien species lists prepared by government agencies. While Aboriginal people hold unique attitudes about invasive weeds and animals, these are rarely reflected in how rangers control them. Based on field research with Bardi-Jawi, Bunuba, Ngurrara, Nyikina Mangala and Wunggurr rangers in the Kimberley region of Western Australia, my former doctoral student Tom Bach observed that 27 of 35 weed control projects followed the government agency weed lists for species-led control. Of these, only 2 were successful in meeting Aboriginal cultural aspirations. In most of the other cases, the list-based approach generated frustration among Aboriginal rangers who felt they were engaged in purposeless killing. In contrast, Tom found that elders and rangers preferred site-based approaches that considered landscape and vegetation management from their culturally specific and highly contextual geographies of ‘healthy country’. We outline instances where ranger groups have adopted site-based management that has been informed by the Aboriginal concept of ‘healthy country’ and argue that such an approach offers a better alternative to current list-based weed control. It also provides opportunities to pursue alternative ways of viewing and controlling weeds, for such understandings overlap with recent critical interventions in invasive alien species discourse and management. To learn more, read our recent paper! Bach, TM (2015) “All about healthy country”: Aboriginal perspectives of weed management in the Kimberley, Western Australia. PhD thesis, Centre for Geography and Environmental Science, Monash University. Supervisors: H Rangan, CA Kull, J Bradley. link. pdf. 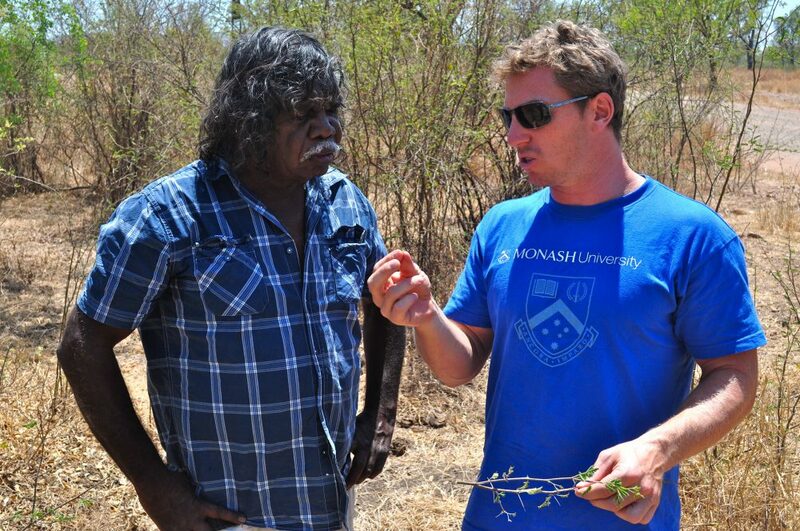 Aitken, C, N Davey, K Chungul, T Bach, H Rangan, C Kull (2015) Managing Weeds on Bunuba Country in the Kimberley, Western Australia, p. 5-6 in E Ens, J Fisher and O Costello (Eds) Indigenous people and invasive species: Perceptions, management, challenges and uses. IUCN Commission on Ecosystem Management Community Report. This entry was posted on Friday, August 31st, 2018 at 4:17 pm and is filed under Introduced and Invasive Plants. You can follow any responses to this entry through the RSS 2.0 feed. You can leave a response, or trackback from your own site.